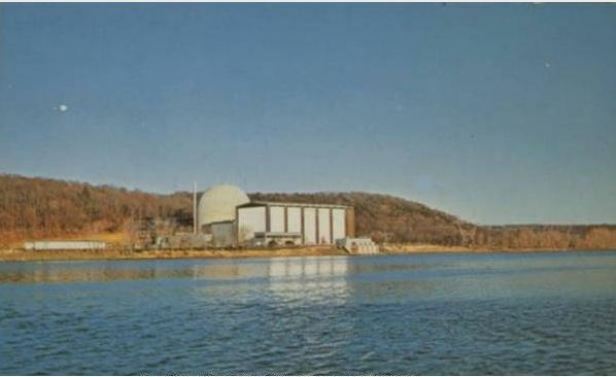 For nearly 30 years the Connecticut Yankee Atomic Power Company operated a nuclear power plant in Haddam Neck, Connecticut. The first commercial nuclear power plant in the state, it provided decades of reliable service to Connecticut—pumping out over 100 billion kilowatt-hours of electricity over its lifetime—until both economic and safety concerns eventually brought about the plant’s decommissioning. The Connecticut Yankee plant began operating on January 1, 1968. Renovations allowed the plant’s initial 490,000-watt capacity to increase to 582,000 watts, helping meet the demands of a growing population desperate for alternatives to high-priced oil-dependent sources of power. Nuclear power came with well-publicized risks, however, and radiation leaks in 1978 and 1989 brought with them growing public pressure to close down the Connecticut Yankee plant. By the mid-1990s, new sources of oil and gas helped drive down fuel prices, making nuclear power the more costly choice for energy production. In 1996, the Board of Directors determined the Connecticut Yankee plant was no longer cost-effective and voted to end its 29-year operation. Decommissioning the plant began in 1998. What followed was a long and rigorous process of reducing radiation at the site to make it safe for later public use. The Nuclear Regulatory Commission and numerous other government agencies oversaw the dismantling and decontamination of various structures within the plant, as well as the cleanup of any contaminated soil. The process finally reached its conclusion in 2007. Today, only a small part of the original site—a specially designed storage facility housing some contaminated metal and roughly 1,000 used nuclear fuel assemblies—remains under the control of the Nuclear Regulatory Commission. The US Fish and Wildlife Service purchased a 15-hectare portion of the surrounding area to operate as part of the Salmon River Division of the Conte National Fish and Wildlife Refuge. Company, Connecticut Yankee Atomic Power. “A Guide to the Connecticut Yankee Atomic Power Company, Haddam Neck Plant Records.” University of Connecticut, Archives & Special Collections at the Thomas J. Dodd Research Center, 2016. Link. Ravo, Nick. “Connecticut Atom Plant Likely to Close.” New York Times, October 10, 1996. Link. “Connecticut Yankee Decommissioning Complete.” World Nuclear News, November 27, 2007. Link. “Wildlife Refuge Buys Connecticut Yankee Land.” World Nuclear News, January 10, 2013. Link.